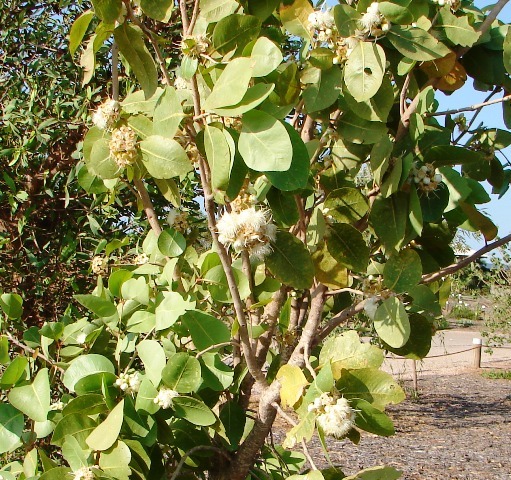 Small spreading tree, large oval leaves, white flowers and edible apple sized white fruit containing 1 large seed. 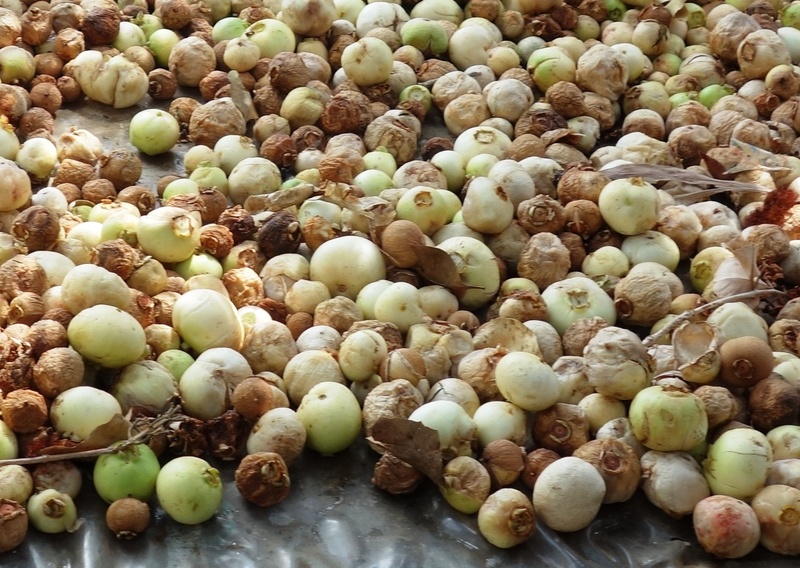 Found across coastal Kimberley and watercourses. 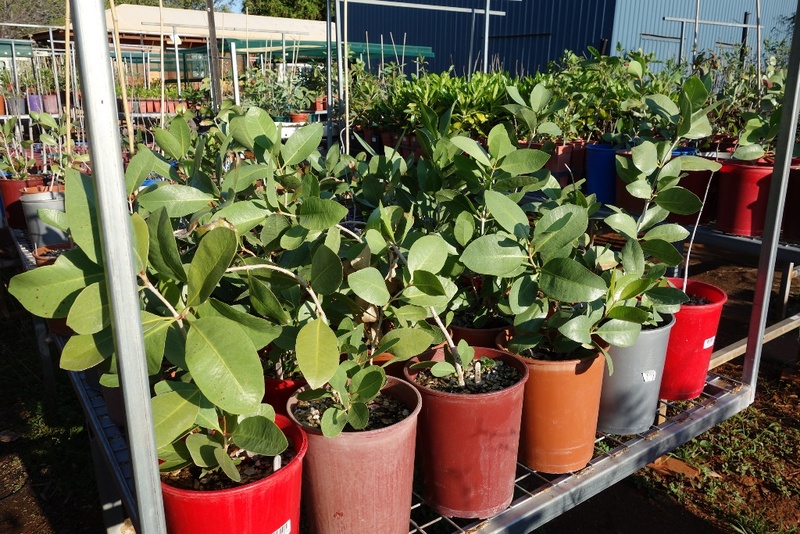 This sub-species has broad oval leaves, while ssp eucalyptoides has lanceolate leaves and smaller fruits. 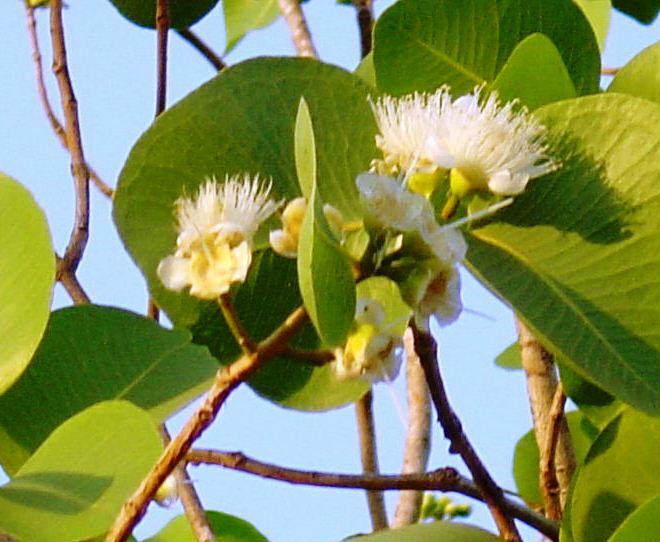 This entry was posted in Syzygium and tagged Syzygium eucalyptoides ssp bleeseri. Bookmark the permalink.